Artwork Description... Undated photograph showing the method of linking up hands and feet of sitting mediums by means of electrical control. 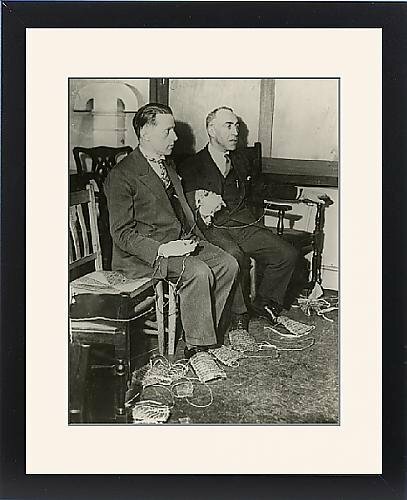 This is one of series of photographs documenting Harry Price s investigations into the mediumistic abilities of the brothers Rudi and Willi Schneider. HPG/1/6/2 (vi).